Imperial Palace Outer Garden (皇居外苑, kokyogaien, kokyo gai en) is located the center of Tokyo. It is part of the Imperial Palace, but it widely opened for public since 1949. It was used be Edo Castle for Tokugawa Shogun. Therefore many historical buildings are still parts of the palace and garden. 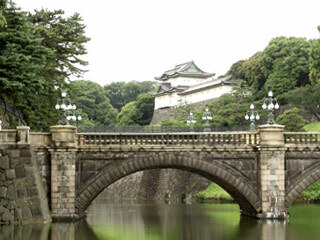 In Imperial Palace Outer Garden, there are many great gates such as Sakurada-mon, Sakashita-mon, Kikyo-mon, and Oote-mon. Also, many keep towers, Fushimi-yagura, Fujimi-yagura and Tatsumi-yagura. With those great buildings from Edo Castle, You can feel the Edo period was like. There are many restriction to use this park, and police are all over. Not a kind of park where you can have family B.B.Q.